12855 8th Avenue N, Zimmerman, MN.| MLS# 5014724 | Casey Zimmerman | Greater Midwest Realty | 763-753-3593 | Your Premier Real Estate Company for Handling North Metro and the Surrounding Areas Minnesota Homes for Sale. 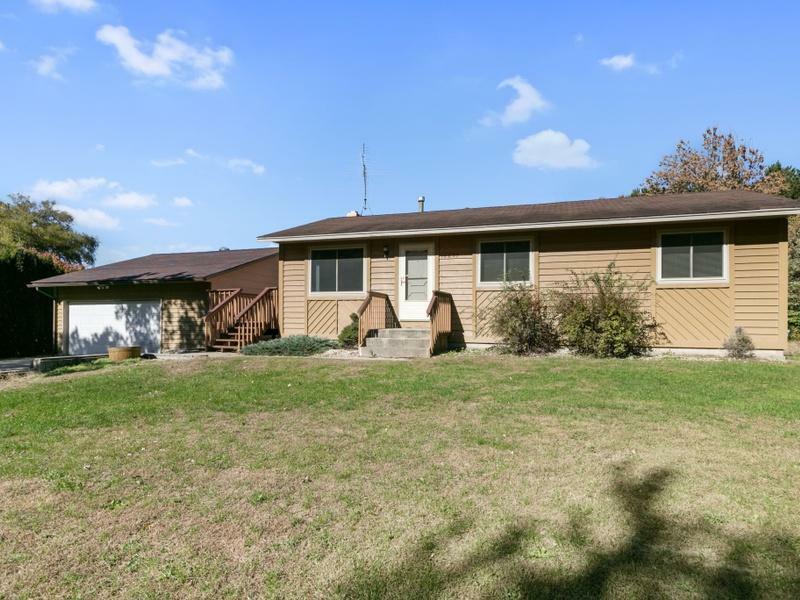 Super Clean, 4BR, 2BA Walkout Rambler on a Nice Lot with Big Backyard. Oversized 2Car Detached Garage with Concrete Drive Plus a Covered, Concrete Area Behind Garage, Perfect for Boat/Trailer etc. Storage. Living Rm Opens to DR/Kit w/"Wood Look" Laminate Floors and Side Door Access to Large Deck. LL with FR Area, Extra Large BR/Den/Office Area that Walks Out to Backyard, & Laundry/Utility Rm w/Washer/Dryer & Large Storage Area. Great Location, Seconds to DownTown Zimmerman & More! Subdivision/Neighborhood: Countryside Estates 2nd Add.